The Town of Bloomer is a zoned township governed by four zoning ordinances depending upon geographic location and/or hydrologic features. The majority of the township is governed by the Town of Bloomer Zoning and Planning Ordinance, which is administered by the Town of Bloomer Zoning Administrator. 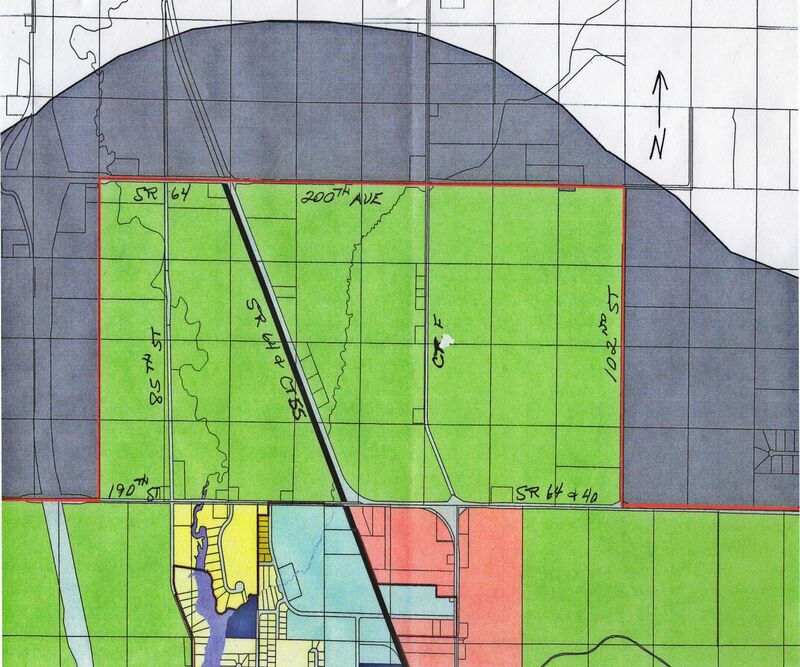 If the property is located in the area just north of the City of Bloomer (refer to the ETZ map below), the property is governed by the City of Bloomer ExtraTerritorial Zoning (ETZ) Ordinance, which is administered by the City of Bloomer. If the property is located within 300 feet of a stream or river or within 1000 feet of a lake, pond, etc. or within a floodplain, the property is governed by the State of Wisconsin Shore Land Zoning Ordinance and the Floodplain Ordinance, which is administered by the Chippewa County Planning and Zoning Department. If anyone has a question concerning which Ordinance applies to their particular property, please contact the Zoning Administrator you believe has jurisdiction and if in doubt, contact the Town of Bloomer Zoning Administrator for assistance. The Town of Bloomer only issues land use permits, which include structures, driveways, and number of signs, sign size, and placement permits. The Town of Bloomer ONLY issues driveway permits in the City of Bloomer ETZ zone; all other land use permits are issued by other governmental bodies. In the Shore Land Zone and Floodplain areas, the Chippewa County Planning and Zoning Department issues all land use permits, but land use permits are also required from the Town of Bloomer in those areas. The Town of Bloomer does not issue well, sanitary, or soil erosion permits, nor does the Town of Bloomer perform any of the Uniform Dwelling Code (UDC) inspections. Those permits and inspections are provided by the Chippewa County Planning and Zoning Department. With regard to driveways, the governmental body having jurisdiction over a road issues driveway permits for those roads, such as the Town of bloomer issues permits for the Town roads, the Chippewa County Highway Department for County roads, and the State of Wisconsin Department of Transportation for State roads. The Planning Commission makes recommendations to amend the zoning ordinance, rezone parcels, issue conditional use permits, make land divisions, etc. for the Town Board to approve, which in turn require approval by Chippewa County. The Board of Appeals grant variances and decide administrative appeals.